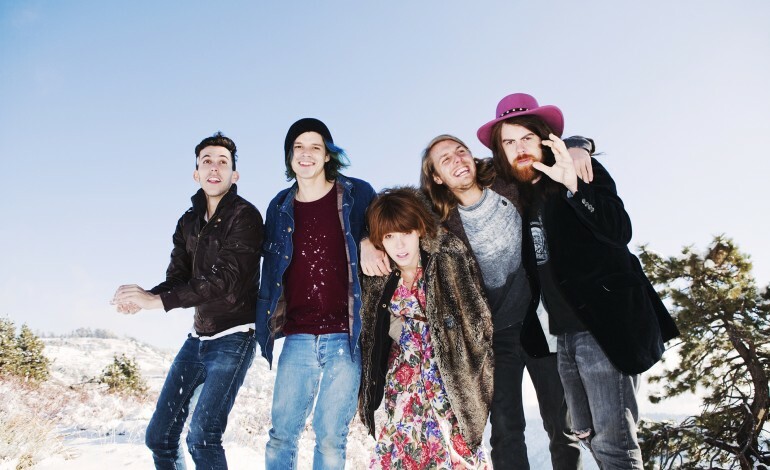 Indie rockers Grouplove will be making a pit stop to play in the Bay area this fall. They will be performing at the Shoreline Amphitheatre on November 3rd. The band along with K.Flay will be the openers for Imagine Dragons’ Evolve World Tour. The band Grouplove came into the music scene around 2009. They recently released their third album in 2016, which was titled Big Mess. Big songs from that album include Good Morning, Welcome to Your Life, Do You Love Someone, and Spinning. The group has otherwise released two other studio albums, their debut 2011 album Never Trust a Happy Song and 2013’s Spreading Rumors. Popular songs from those album include their breakthrough and their two most notable songs Tongue Tied and Colours, also, Ways To Go, Itchin’ On a Photograph, Shark Attack, Lovely Cup, Make It Me, and Ways To Go. The band released their only EP in 2010, which was self-titled. The band was a part of the hit movie A Fault In Our Stars’ soundtrack with the song Let Me In and again, in the other popular book turned movie by John Green, Paper Towns with the song No Drama Queen. The indie rocker’s sound is a good mix of indie rock and folk like pop. Their songs are melodic and the layering of three different vocals, is what I think, the key to their success. Fans of Modest Mouse, WALK THE MOON, or Passion Pit will be down for this band. Their songs just keep on poppin’ up, so my dudes, I think it might be high time you check this band out freals!